My Hero Academia is a manga and anime series about superheroes. It centers on the story of Izuku Midoriya, a boy who was born without a Quirk, in a world where Quirks are common. There are lots of people who watch or read this series, making it one of the most popular anime or manga today. The series has a lot of other different characters, all of which have their unique skills, abilities, and story. One of the characters that you will encounter in this series is Ochaco Uraraka, aka Uravity. She is a student of Class 1-A and one of the main protagonists of the series. She is a very skilled combatant, having been trained in Gunhead Martial Arts. Her martial arts skills are also a great combination with her Quirk, which is Zero Gravity. It allows her to manipulate gravity every time she touches stable things using her pads. As one of the main characters, Ochaco is one of the favorite female characters in My Hero Academia that people like to cosplay in. Like a lot of the characters in the series, Ochaco wore two distinct outfits throughout the series. She was mostly wearing either her U.A. High School uniform or her battle costume. 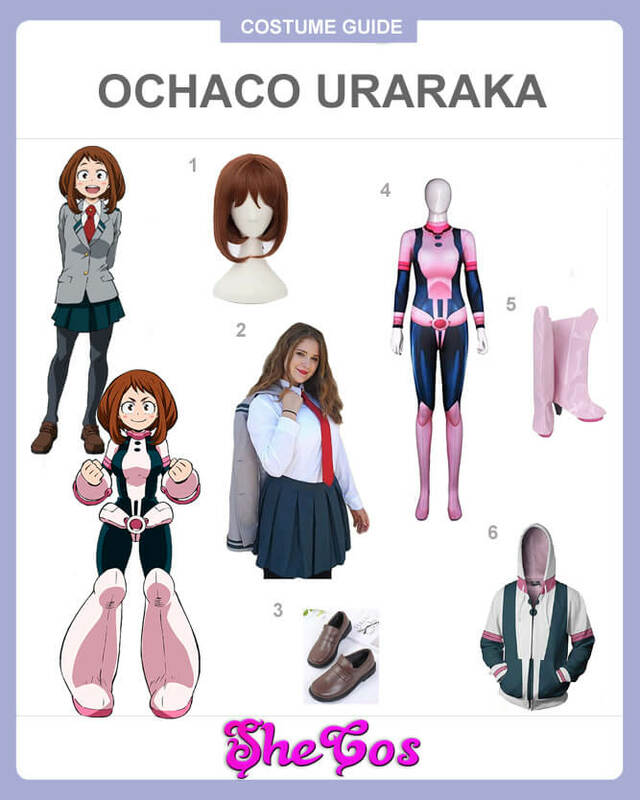 As one of the main characters of My Hero Academia, Ochaco Uraraka is also a favorite option for people who are looking to cosplay a female anime character. Like with most characters in the series, you will have two options for Ochaco’s outfit. One of the selections is her U.A. High School uniform. It is a light grey blazer on top of a long sleeves polo with a red necktie. It also has a blue-green skirt, black knee socks, and brown shoes. The other option is her battle costume, which is a skin-tight pink and black jumpsuit with a pink belt and thick pink bracers. It also comes with pink knee-length boots to complete the outfit. The set also comes with a short brown wig, representing Ochaco’s hairstyle, and a hoodie jacket with a design that’s inspired by the battle suit. Ochaco Urarake is one of the most laid back girls in her class. She is also somewhat of an airhead and a bubbly person. Like Izuku, her reactions are usually exaggerated, making for a comedic scene. Ochaco is an empathic individual, always looking at the positive side. But she is also objective enough to know when something is not right. She does have a fierce demeanor when she needs to, which surprises people around her. Though you have two choices on Ochaco cosplay, her battle costume is understandably the most popular choice. 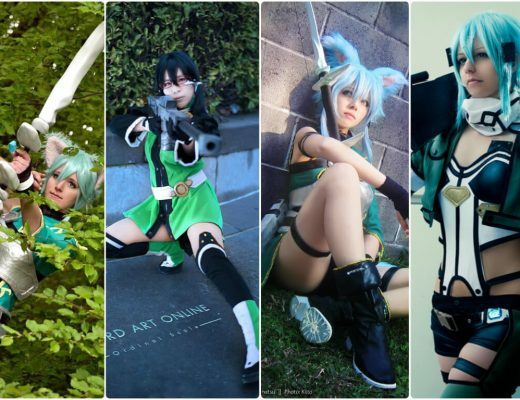 If you look at the cosplay photos, you can see why this is the case. Ochaco’s battle costume looks cute and adorable, which is the perfect outfit for her personality. It also shows that the cuteness should not fool you, as Ochaco is a tough character and missing with her might not be a good idea.